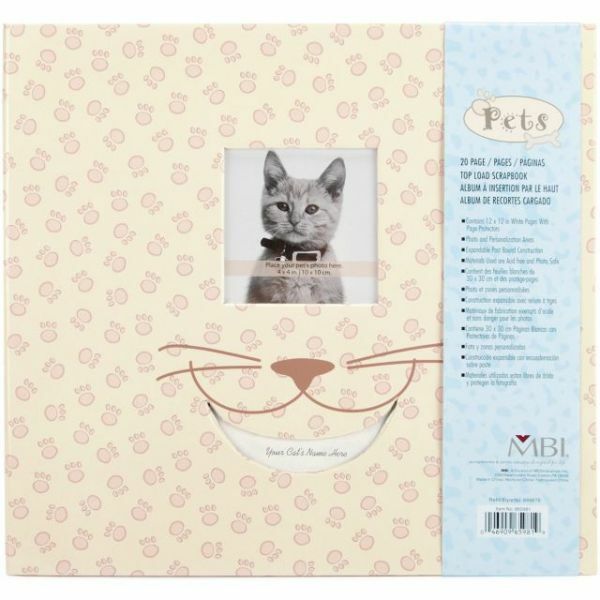 Pet Post Bound Album 12"X12"
Pet Post Bound Album 12"X12" - MBI-Pet Postbound Album. 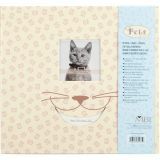 This adorable post-bound pet album is a fantastic way to keep your favorite memories of your furry friend for years to come. They feature: sturdy covers with a high quality coated paper covering of either doggie bones or kitty paw prints, both have picture windows and title window on the front cover, expandable, Photo safe and acid free and come with ten top-loading page protectors with white cardstock inserts. The 12in albums actual measurements are 12-1/2x13-3/4x1-1/4in. The 8in albums actual measurements are8-3/4x9-3/4x1-1/4in. Color: Cream background: Dog album, brown/peach doggie bone print, Kitty album: brown/peach kitty paw print. Imported.